The "411" with Chelle Ni-Cole bringing the latest news and events going on in the Metro areas of Atlanta. Chelle Ni-Cole Special Guest topics will enlighten you on the talk of the hour! 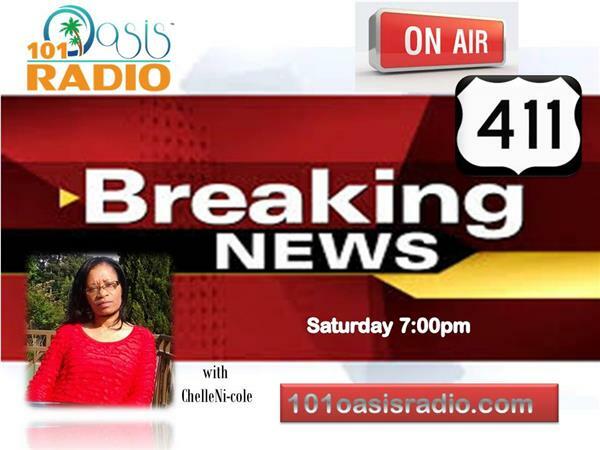 Tune in Every Saturday Night at 7:00pm with "The 411". Go to our website: 101oasisradio.com or tune in at www.blogtalkradio.com/101oasisradio.com or call 773-897-6115.